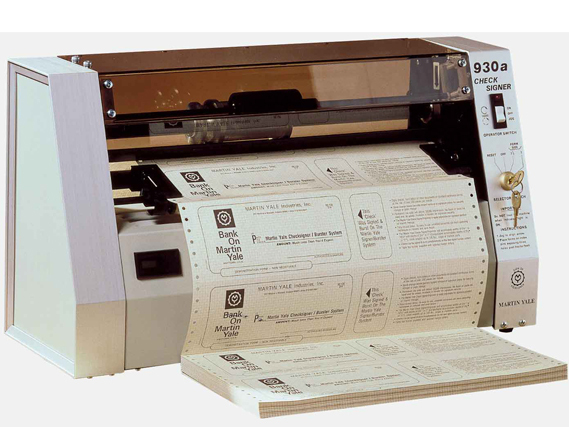 Martin Yale 930A Check Signer - Roberts Business Machines, Inc. 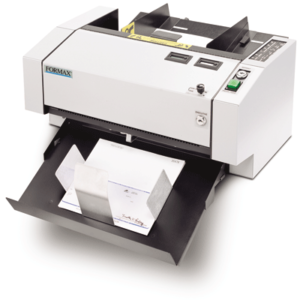 The Martin Yale 930A Check Signer is an easy to operate and reliable unit that places a signature on continuous form 3.5″ or 7.0″ documents. Unit has a non-resettable counter and requires an operator key to access. 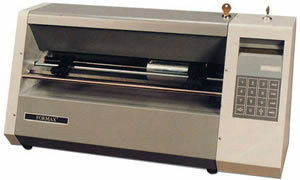 Machine comes factory standard with a black ink roller, tricolor ink rollers are also available. Handles paper weights from 14 lb. to 125 lb.